Located in the most populous county in the state of Washington, Lake Washington has gained its popularity for being the largest narrow and finger-like lake in King County as well as the second largest natural lake in the state of Washington. Its main inflow to the system comes from the southeast corner of the lake from the Cedar River, which is also the city of Seattle’s main source of drinking water. Additionally, in the northeast corner of the lake, another inflow to the lake comes from the Sammamish River, which contributes around 27 percent of the inflow. Other bodies of water which contributes minor inflow to the lake are Juanita Creek, Thornton Creek, Kelsey Creek, May Creek, as well as Lyon Creek. Being 20 miles long with a surface area of 22,138 miles, Lake Washington has over 50 miles of shoreline at an elevation of 22 miles. A large island and city fund in the southern part of the lake, Mercer Island, has an added 30 miles of shoreline. Furthermore, on the west side of the lake, the city of Seattle borders Lake Washington with an estimated 20.1 miles of shoreline within the city limits— an approximate 11 miles of this public land is managed by Seattle Department of Parks and Recreation. With the lake being the most shallow at its north and south ends, its mean depth is 108 feet while its maximum depth is 214 feet. In addition to this, the lake also has a mean width of 1.5 miles, draining to Puget Sound through Seattle through the 8.6-mile long artificial waterway, the Lake Washington Ship Canal. For those into fishing, the lake provides sport fishing opportunities with fishes like Coastal Cutthroat Trout, Rainbow Trout, Smallmouth Bass, Largemouth Bass, Black Crappie, and Yellow Perch. Its undeniable beauty and abundant space make locals and visitors admire the lake; people also beat the boredom by doing numerous activities in this place. Activities include going to see the airplane crafts and space vehicles in the Museum of Flight, enjoying the rare trees, plants, and wildlife in the Washington Park Arboretum UW Botanic Gardens, spending time with family at the Magnuson Park, or getting some exercise by cycling, running, or walking at the Burke-Gilman Trail. However, there is a long history that occurred before Lake Washington became the lake it is today. Before it was the Lake Washington, the lake had multiple of names which included the Duwamish name, Xacuabs, Lake Geneva, the Chinook Jargon name, Hyas Chuck (Big Lake), and Lake Duwamish. The lake received its name in the year of 1854 from Thomas Mercer’s suggestion of naming the lake after George Washington, as the new Washington Territory was named in 1853. 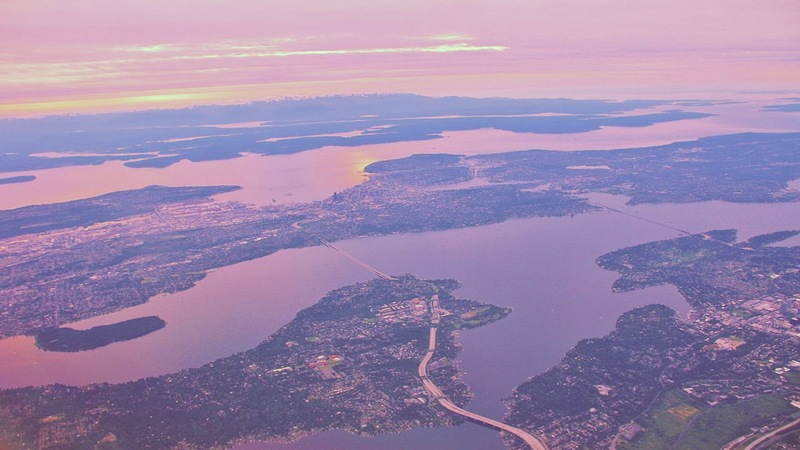 Around the beginning of the 20th century, the city of Seattle began releasing sewage into the lake and during the 40s and 50s, at a rate of 20 million gallons per day, eleven sewage treatment plants were sending state-of-the-art treated water into the lake. Concurrently, phosphate-based detergents became discharged to the lake. Unfortunately, the lake responded negatively to the mass amount of nutrient input by developing unpleasant blooms of harmful blue-green algae. The worries of citizens led to the formation of a system which diverted the treatment-plant sewage into nearby Puget Sound, where tidal flushing causes them to mix with open-ocean water. The year of 1968 was the year the diversion came to an end after the lake responded quickly to it; algae bloom diminished and the water became clear. Fast forward to present day, the lake has become twice as clear as it was before and have been attracting many visitors. What to Know about Lake Tahoe?